Seeing this picture I took, I barely recognize myself! I think a lot of people are scared to se the truth; I think this study will be really interesting to see the truth-- at least of the sample of your readers--but I hope maybe it'll give me the motivation to take control of my weight, drop some bad habits. 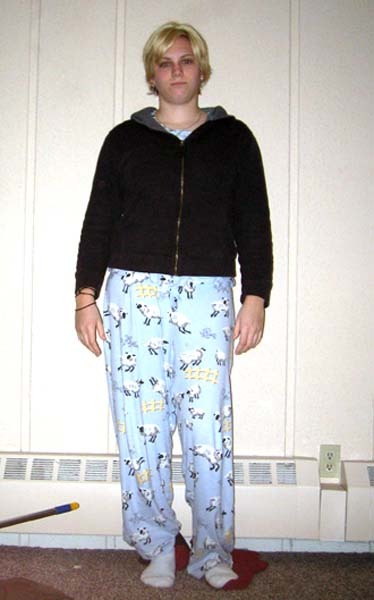 This is me, Kara Snow, at 173 pounds. I am 5-foot-9-inches tall. This photo was taken in November 2006. I thought I was so fat! i was online wondering what a woman of my height and weight looks like and couldn't find one, so I am sending you this picture. Actually I am now 5'8-1/2" and weigh 180...but I am trying to lose that! 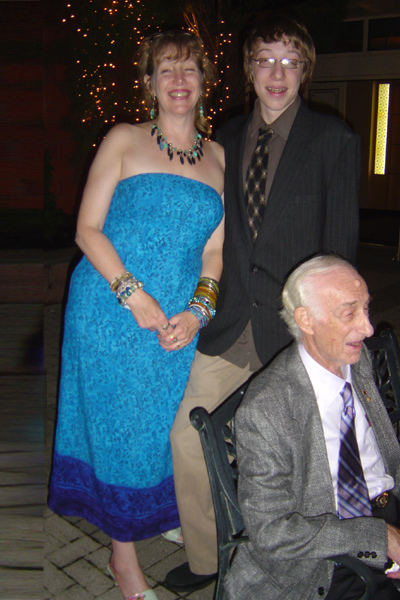 I am about 170 in this picture, taken a couple of years ago with my dad (78 then) and son, Liam, who is 15 and about 6'1" in this picture. Your chart is really a great idea. Do you know of any others? Thanks for that, I feel a bit better now!